In this second part of the Two Oceans nutrition series we discuss what to do around nutrition during the taper weeks. Below is a good read to understand what you should be thinking about around Taper Week Nutrition and you can also listen to the podcast I have pulled in below which I did with David Katz. Its important to understand that during the taper period your volume of training is reduced significantly. Reduced volume means that you’re requiring less fuel during the day than what you were used to previously. During peak weeks you were burning off a lot more calories and calorie consumption requirements were a lot higher in order to be able to try and replenish that deficit to keep your energy system up, and obviously to keep your immune system strong as well as ensuring proper recovery between workouts. What happens during the taper weeks is that the volume drops and there’s a lot of sharpening. It does not mean you’re going to stop training, you obviously carry on training and there could be quite a bit of pace as well, but obviously shorter periods of time to keep the legs sharp and the body recovering and building to peak on race day. Lowered volume training equals lowered calorie intake as your physical activity level drops. There are four main areas that I like to suggest all athletes focus on during the taper and number one is immune system strength. You need to get to your event in a very healthy state. You do not want to fall ill before that. We know that when an athlete hits peak training, generally their immune system is quite lowered, the body hits fatigue, and there is a very high susceptibility to infection. Obviously this will be more prevalent when you’re exposed to children and people close to work who are harboring illness. I have seen some serious athletes running around with face masks close to the event because they fear getting sick. How do you keep the immune system strong? Simple keep inflammatory foods out of the diet, focus more an alkaline diet to keep inflammation at bay. Focus on clean foods forget take outs and processed foods you want to fortify the body not weaken it. Rest, Rest, Rest. Sleep is crucial don’t sacrifice it and due to shorter training sessions, push them out later so that you can ensure you get through all your sleep cycles by waking up slightly later than normal. Hydrate constantly and ensure you are consuming fluid in the form of healthy water and herbal teas. Keep stimulants such as coffee down to a bare minimum as it also raises acidity in the body which can equate to a higher risk of getting ill. Do not skip meals keep the portions small, healthy, nutrient dense and more frequent. Do not think multivitamins and vitamin drips are the answer, as the body responds to this in a way which could completely weaken the energy system by playing some havoc with the bloods. As a matter of interest research has shown Vitamin C as an example of anti-oxidant supplementation has been shown to hamper endurance. In this case over consuming it is just not a good idea, best is to take it when you need it and not daily if your training is fairly heavy. Vitamins and minerals are there for deficiencies take it only when needed. Number two is weight management. Obviously as the volume of training decreases, the amount of calories will need to fall in line with that. You do not want to gain weight for your race. The reason being, is that if you do gain weight by the time you race, you are going to suffer. You’re used to training at a particular weight, you want to race at that same weight. You really need to hone in on your diet and make sure you keep it in check. The only way to do this is to obviously focus on eating cleanly, don’t eat out, reduce and cut sugar intake. The other thing is, you can also reduce is your protein intake slightly and carbohydrate intake in the week prior, and you can gradually build the carbohydrate intake slightly a few days before to maximize glycogen stores. Do not try and cycle carbohydrate depletion and an increase if you have not experimented with it before. Remember whatever you do your macro-nutrients need to be in line with calorie requirements. Do not over do it as excessive eating will lead to weight gain and this is seen in abundance with athletes when they do carbohydrate loading for which there is no major need. Keep your nutrition in check and do not let it slip in the week leading up to the race. 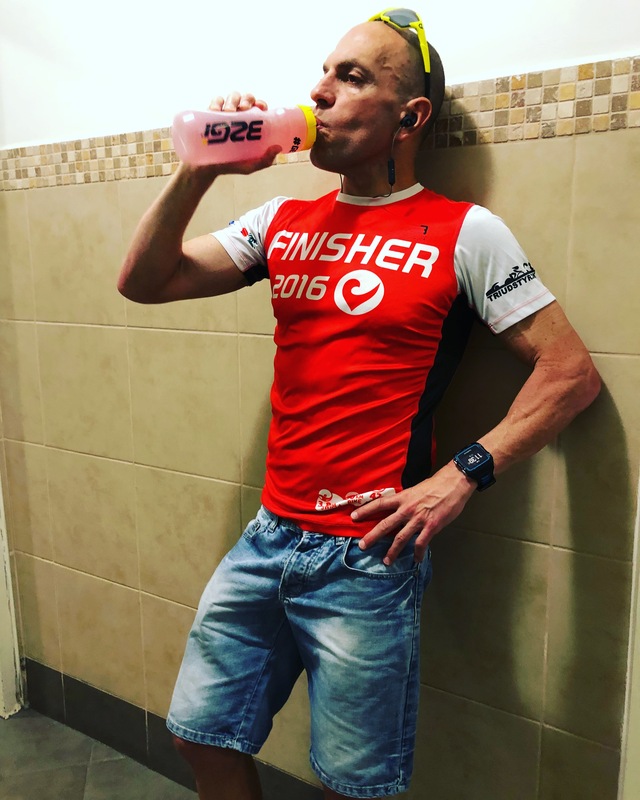 Muscle recovery is very important during the tapering period, you need to make sure that you’re getting strength gains and you’re not fatiguing yourself for the big day. This is the time to rest, recover and build and get to the race in peak shape. Remember, training breaks you down, proper rest and recovery builds you up and makes you stronger. This has a very large dependency on nutrition. Make sure that you eat for recovery. Ensure you get the right amount of protein in on a daily basis. If you are not sure how much you should be consuming check out my blog on protein (Protein Myths) . Eat a lot of leafy, green vegetables, this can help increase folate levels and ultimately lead to more rich red blood cells which increases your oxygen levels in the blood and this can have a very positive impact in endurance and sports performance. Aim for healthy fruit to improve your immune system and energy levels. Cut all the nonsense and eat to strengthen the body for the big day. One of the other very important factors during taper is to make sure that in your mind you have your race fuel preparation ready. The way you prepare your body from a nutrition perspective in the weeks and days leading up to an event will either make or break your fuelling strategy on the day. If you want to deep dive into race fuelling preparation read my previous blog Make or Break. You need to make sure that you have practiced and trained your race fuel for race day during your training sessions. Obviously in that taper period you can still practice it a little bit here or there, but you need to make sure that at least 7-10 days out of the race you’ve got it down packed, and there should be no more experimentation. I stand at plenty of race expos and a lot of people come up to me and say, “What do I need for my race?” I always tell them, “It’s way too late to start asking me that now; you should have been practicing this quite a long time ago.” Train your gut and ensure you have a decent nutrition plan in place for the big day. To sum up the taper week ensure your nutrition is clean and that you are hydrating properly leading up to the event. Have your race fuel prepped mentally and you should get to race day in good shape.